Warrior Legend Manga Universe: Your BONUS goes away in 3 days! Your BONUS goes away in 3 days! Yes, you read correctly, the offer for a getting a free manga goes away on Wednesday 8/8-18, this is your last chance! Summer is still hot and not over. 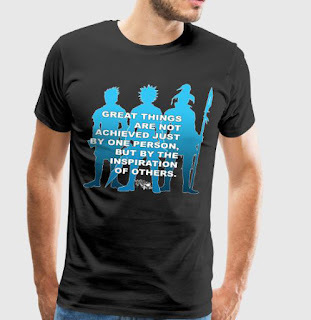 These great motivation manga styles t-shirts are an every manga enthusiast must have. If you order one of these tees within Wednesday, you will receive a copy of my manga on your email worth of $3.49. 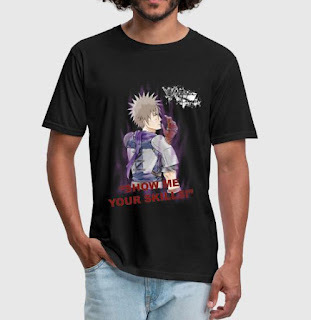 This is a great chance to get into a new story and world of manga as well as getting a unique tee in your wardrobe! When you order a product or a t-shirt from my WL designs. Forward me the order receipt. Then I'll be able to send you a PDF with the Manga for FREE, as a big thanks to you for the support.